While “Principal of the Year” awards are given as individual honors, Gloria Trejo views her recognition as a collaborative achievement. Trejo, an Aurora University Doctor of Education student, was recently named the Horace Mann/Illinois Principals Association DuPage Region 2017–2018 Elementary School Principal of the Year. She has been principal at Pioneer Elementary School in West Chicago, Illinois, for 11 years. The Elementary School Principal of the Year honor recognizes DuPage Region school principals who have made a positive impact on their students and learning community. Award recipients demonstrate a positive impact on education and advocacy for children, ensure their school climate is positive and reflects high staff and student morale, and demonstrates creativity and imagination in bringing about positive change. 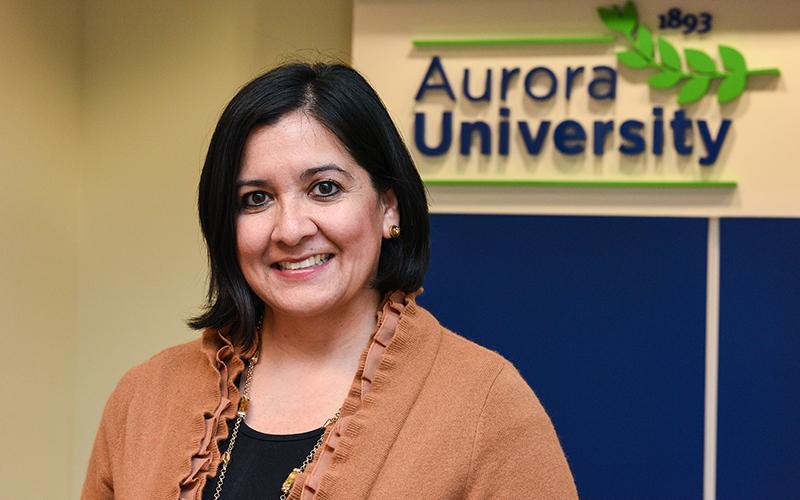 As a Doctor of Education student at Aurora University, Trejo is part of another important partnership. She says her professors and peers in the classroom share the same mission and vision when it comes to education.